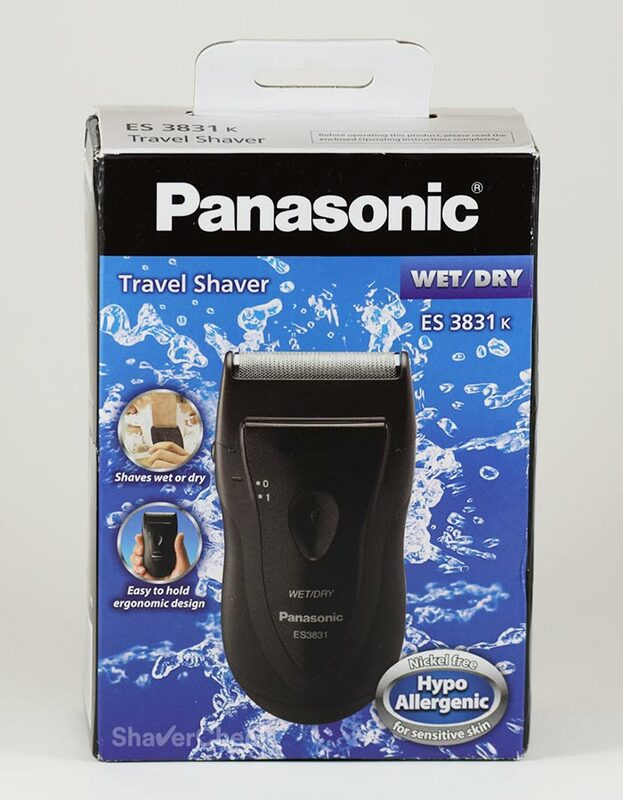 The Panasonic ES3831K is one of the most popular travel electric shavers out there. At first glance it also seems to tick all the right boxes: it’s compact and very reasonably priced, exactly what you would want from a travel shaver. However, portability and low costs also mean a compromise in performance and many compact razors out there fail to provide a decent shave. 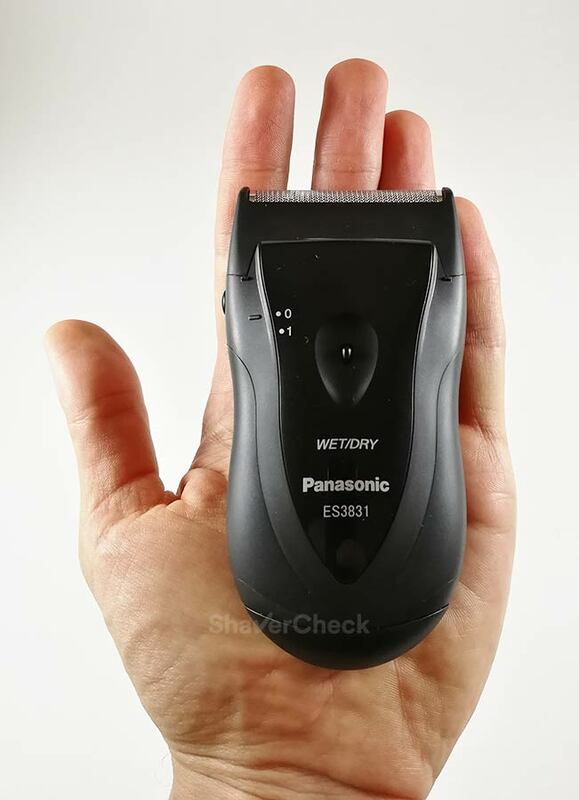 With the ES3831K, Panasonic promises smoother shaving, anywhere. Well, let’s see if that’s the case after subjecting it to our usual, thorough tests. Wrapup — Who should buy the ES3831K? We’ll kick off this Panasonic ES3831K review with a quick look over the main features. Being a basic razor, the list of features is not by any means extensive. 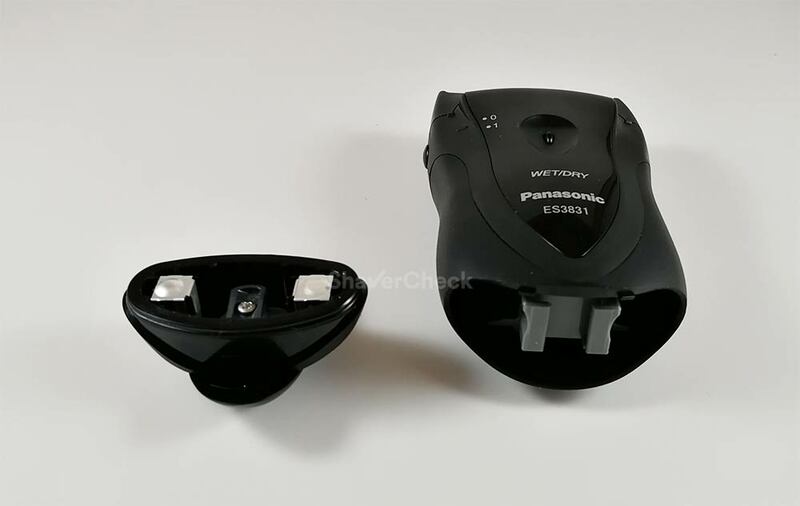 The ES3831K is a single blade, portable foil electric shaver. The shaving head is as basic as it gets, with no pivoting or flexing capabilities. The foil can however be depressed, but it takes quite a bit of force to do so. The ES3831K is powered by two AA batteries which is in my opinion a great solution for a travel razor. Batteries are cheap and widely available and you don’t have to bring along a charging cord. 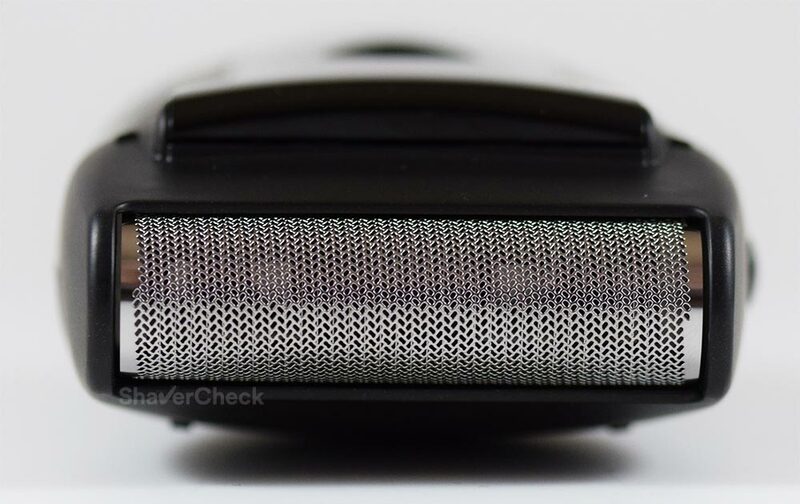 The ideal travel shaver would have a USB type C connector, but that’s not the case here. 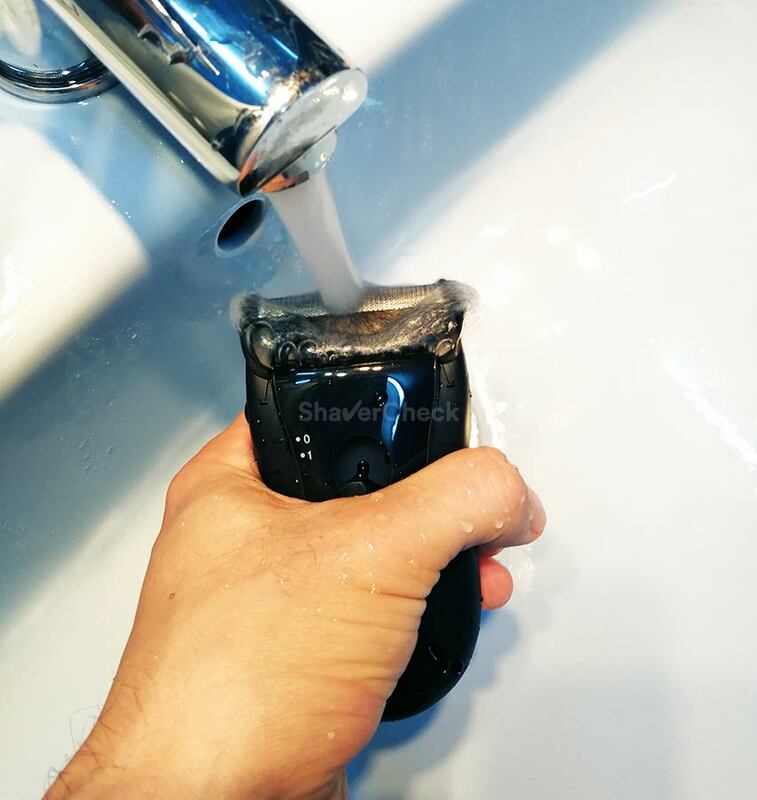 The shaver is suitable for wet & dry use and it is fully waterproof. This is one of the strong points of this shaver (more details later on). 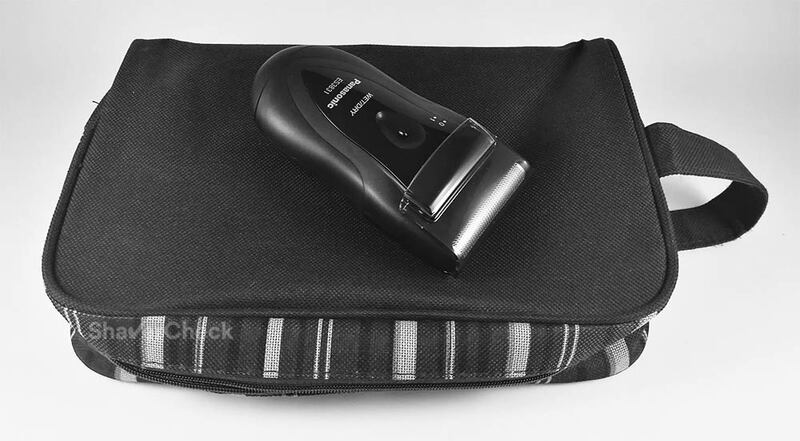 A must-have on any travel shaver, the ES3831K has a cleverly integrated travel lock. Located on the triangle shaped ON/OFF slider, it must be fully depressed in order to unlock the slider. The protective cap acts as an additional locking mechanism. With the cap on, the slider can’t be moved into the ON position even with the travel lock button depressed. I have to give props to Panasonic for putting a lot of thought into designing this mechanism. It’s worth mentioning that the paperwork included with this tiny shaver is one of the most extensive I’ve seen so far: user’s manual, cleaning instructions, product registration, warranty card, replacement parts and accessories leaflet. The last one is definitely a rarity; the replacement parts are listed on a separate sheet of paper instead of being buried somewhere inside the user’s manual (if at all). The AA batteries are not included and you won’t find a travel case either. Luckily, there are a few third-party ones available on Amazon that look pretty nice and are inexpensive. 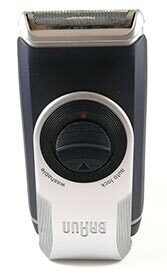 The Panasonic ES3831K is very compact and lightweight, even though it may not seem so from the images. Compared to another popular travel shaver, the Braun M90, it is slightly smaller in length and a bit thicker. It definitely passes the portability test and will easily fit inside any toiletry bag. I’ve been very impressed with the build quality of modern Panasonic shavers, even the entry-level ones, and the ES3831K continues this trend. For an inexpensive, basic razor, the build quality is very good. The plastic is of high quality and feels very solid, with no uneven gaps or cracking sounds when held firmly in the hand. 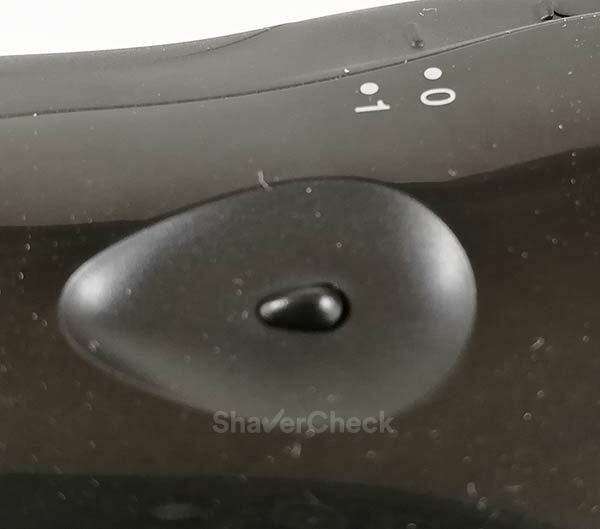 The front on the shaver features just the ON/OFF slider. It’s not a switch nor a button as the whole glossy fascia slides forward when switching the shaver on or off. Just like the M90, the ES3831 has a smart approach to integrating a travel lock. Located on the ON/OFF slider there’s a tiny knob that must be depressed, otherwise it won’t slide forward. I’ve seen this mechanism implemented on older three blade Panasonic shavers and it works very well. It is a very simple and efficient solution. The back and sides are pretty much bare except for the left side that features the foil frame release button. On the bottom of the shaver you’ll find the battery cover that you must twist to open. It is again similar to the solution found on the Braun M90, the main difference being that on the M90 the cover remains attached to the body so you won’t misplace it. The protective cap snaps very securely into place and apart from offering protection in case of mechanical shocks, it doubles as a travel lock as well. When it comes to ergonomics, the shape, lightweight and compact dimensions of the ES3831K make it very easy to maneuver and it fits great in the hand. As for the negative parts, I would say that the satin finish used for the entire body of the shaver could offer a slightly better grip. 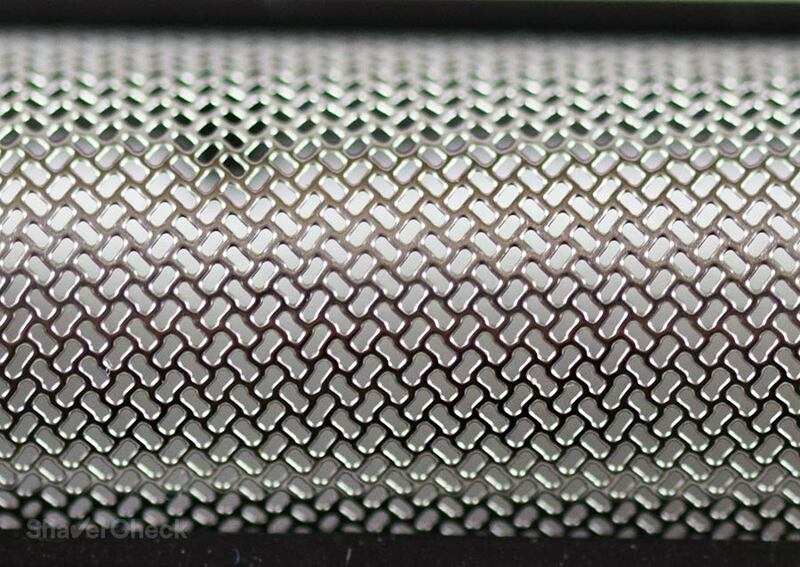 For example, the Braun M90 has more of a rubber-like texture and it feels a bit more secure. 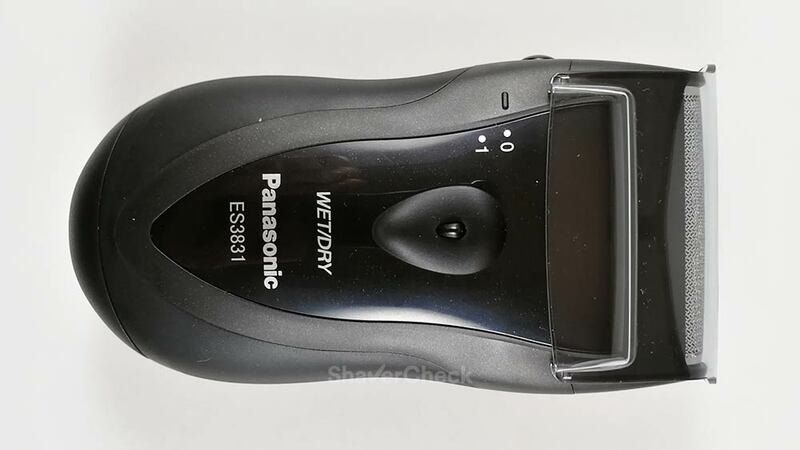 Finally, the Panasonic ES3831K doesn’t have a pop-up hair trimmer. I know, this is a bit too much to ask from an inexpensive compact shaver, but again, the M90 has one. 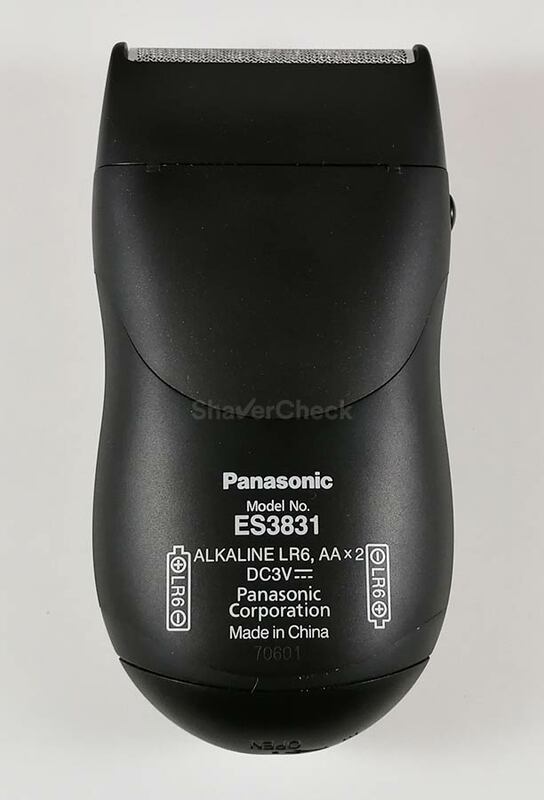 There’s actually a variation called ES3833 that comes in silver and features a hair trimmer, but that one is pretty pricey for a travel shaver and seems to be out of stock everywhere. The ES3831K is powered by two regular AA batteries. As I said previously, I think this is an appropriate solution for ultra-portable electric shavers as it’s the case here. For this review, I used the ES3831K for roughly 10 days and I didn’t manage to deplete the two alkaline batteries, so I would say that a single pair should easily last throughout your voyage. Unfortunately, there’s no way of knowing when they’ll run out of juice as the ES3831K doesn’t have a low battery notification LED. You will just experience a drop in speed and the shaver will start pulling the hairs and shave less efficiently. When that happens, it’s time to replace the batteries with a pair of new ones. The battery cover is fitted with a rotating latch, seamlessly integrated into it. You must twist it 90 degrees clockwise to unlock the cover, then simply pull to remove it. 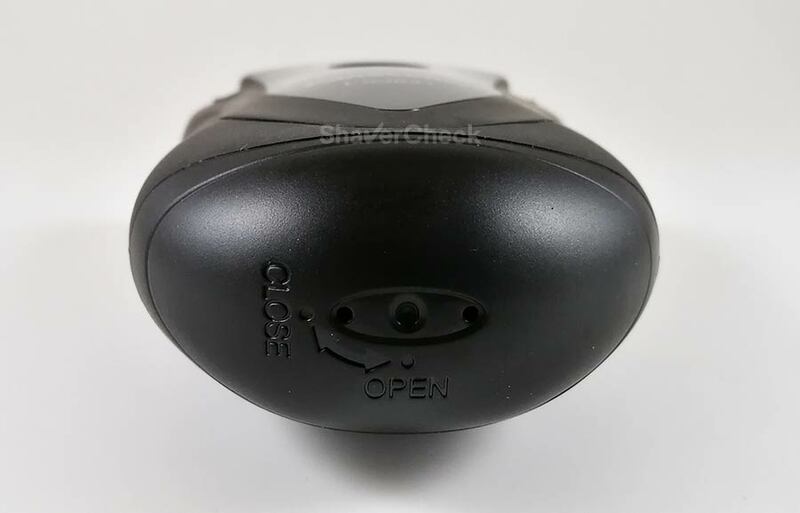 Once the new batteries have been inserted you must reattach the battery cover and twist the cap 90 degrees clockwise to lock it and you’re all set. 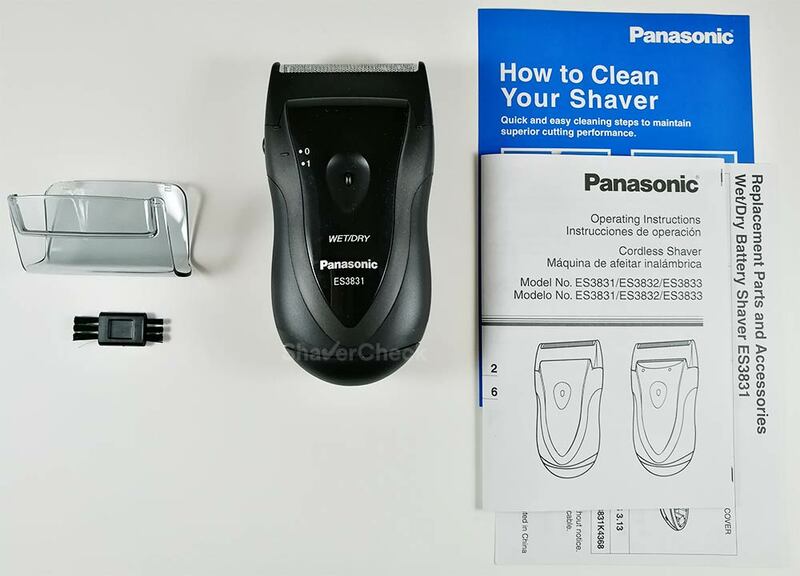 So how well does the Panasonic ES3831k shave? In order to find out, I used it as my main shaver for a week and a half. I normally test a razor for three to four weeks, but since this is a travel shaver I decided that it will suffice and will accurately replicate how most men will be using this machine. Just to put things into perspective, I have sensitive skin and thick facial hair. I usually shave every two days as this routine seems to yield the best results for me. 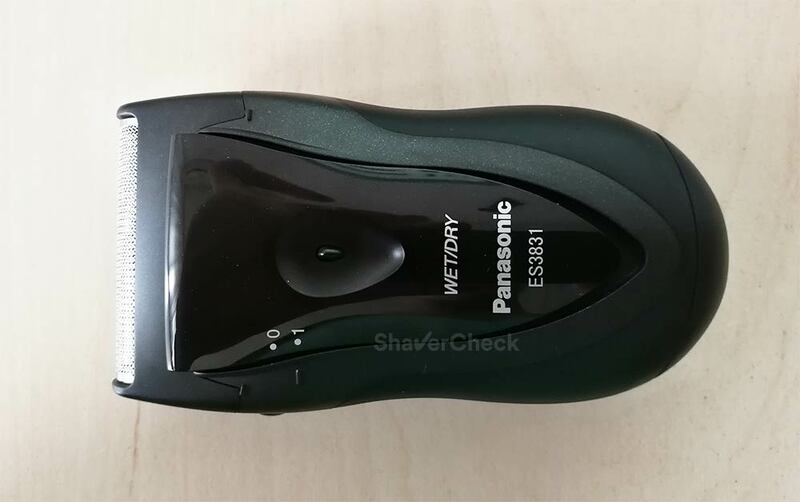 Shaving with the Panasonic ES3831k has both good and bad parts. First of all, it’s one of the more punchy travel shavers I’ve tried so far. With an 8500 CPM motor, it definitely got more cutting power compared to other popular battery powered compact razors. You can feel it and also hear it when cutting the hairs. I managed to finish my shaves faster than I was expecting given my previous experience with portable shavers, particularly the rotary ones. The foil also remained perfectly cool even after extended use. The comfort during the shave was actually quite good, with no notable discomfort apart from some occasional pinching. When I used the ES3831k on very short stubble it managed to shave very decently. The closeness was not as good as in the case of a full-fledged shaver, but still satisfactory. Closeness is never a strong point of travel shavers and this one is no exception. However, where many compact shavers fail, this one did quite good: it was surprisingly fast and during the actual shave quite comfortable. So, what about the bad parts? The main problem with the ES3831k is shaving longer hairs that lie flat on the skin. I have precisely this type of problem on my neck and when I using the shaver daily this wasn’t much of a problem. However, when I tried it on a two or three-day beard it had major problems with getting the hairs that were lying flat on the skin, no matter how many times I tried going over those areas. Pressing harder did not help either. 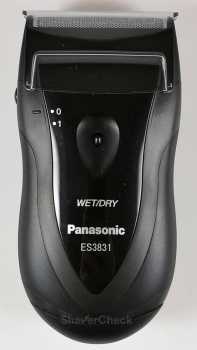 As a result, you should consider using the Panasonic ES3831k daily as it works best on short facial hair. If you have a very slow beard growth and the hairs usually stand straight you could get away with shaving less often and still get decent results. The second major issue I encountered is related to comfort. As I said previously, during the actual shave it was pretty smooth and comfortable. However, after the shave I almost always ended up with some razor burn and redness, especially on my neck and above the upper lip. There was some stinging along with the rash that eventually disappeared after a couple of hours. I must mention again that I have sensitive skin and you may or may not experience this. But in my case it was definitely there. Finally, the closeness. On my cheeks it was actually good, but on the areas where I have very thick hairs, like above my upper lip and on my chin I definitely wish it could have been better. Again, I think that for a travel shaver it was adequate, but compared to even an entry-level Panasonic like the Arc 3 it just wasn’t as good. I could feel the stubble on those areas when running my fingers over the skin right after completing the shave. So if closeness is very important to you I think you should avoid travel shavers in general as I doubt any will match the closeness of a proper electric razor. One of the highlights of the Panasonic ES3831k is the wet/dry operation, which means that you can use it in the shower or with shaving cream if you choose so. I tried it with my favorite shaving cream from Speick and in my case there was an improvement in comfort, but the closeness was pretty much the same I got from a dry shave. The razor burn and the stinging sensation were reduced so this could be an option if you have sensitive skin. Reviewing a travel shaver is tricky in the sense that I must restrain myself from comparing it to a full-fledged razor. 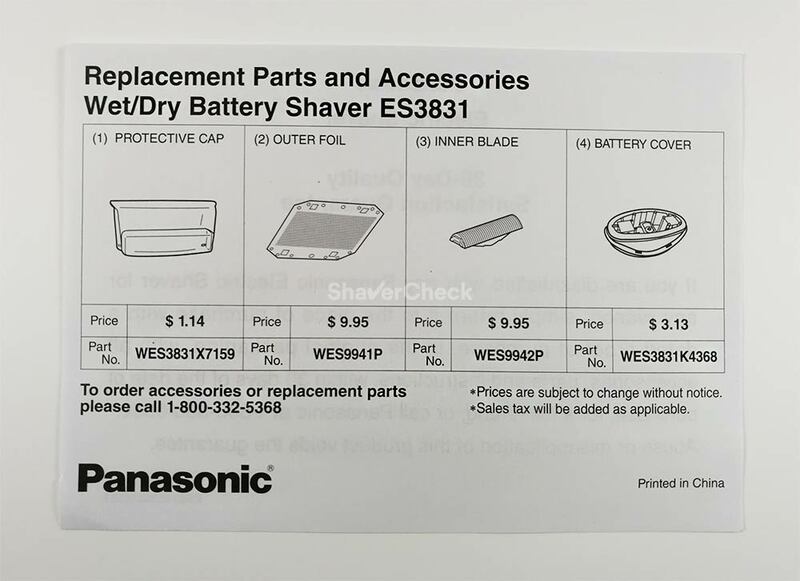 So with that in mind, I can conclude that the Panasonic ES3831K managed to perform decently, but it wasn’t the best in class as you’ll see in the Alternative shavers section. Being a very basic foil shaver, the Panasonic ES3831K is extremely easy to clean. In fact, it literally takes less than one minute to give it a very thorough cleaning. There’s a cleaning brush included as well, but I would strongly suggest you to clean the shaver with warm tap water and a bit of liquid soap. Since it’s fully waterproof, you also have the peace of mind that it won’t be damaged by water. After completing your shave, press the foil frame release button to remove it from the shaver and gently tap the frame on your countertop to get rid of the bulk of hair clippings. Snap the frame and foil assembly back on to the shaver, pour a bit of liquid soap on the foil, and turn the shaver on. Put a bit of water over the foil while the shaver is turned on and let it run for 10 to 20 seconds. Turn the shaver off, remove the foil frame and rinse it with warm tap water. Rinse the inner blade and shaver as well, then pat everything dry with a towel or paper tissue. You should allow the parts to air dry before storing the shaver. You can purchase the foil and inner blade of the Panasonic ES3831K separately or as a combo. 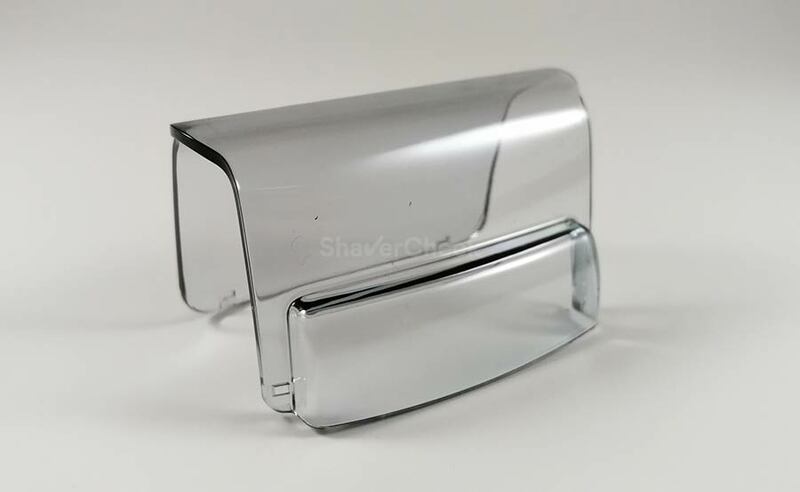 The protective cap and battery cover can also be found as spare parts, but most of us will only be interested in buying new foils and blades. And here is when things go a bit sour. While the price is not by any means prohibitive, they usually cost more than a brand new Panasonic ES3831K shaver. With inexpensive, compact shavers like this one you will sometimes come across this type of oddities. For example, there are no replacement blades available for the Remington R95. The reason is most likely the same: the parts would cost more than the whole shaver, so you might as well buy another one. And this is what I would suggest you to do as well. 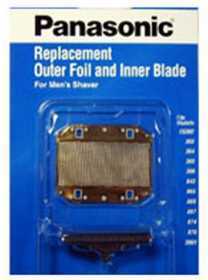 When it’s time to replace the foil and blade, just buy a new shaver and save a few dollars doing it. I think the main question to be asked here is whether you’re willing to give up on performance for portability and cost savings. 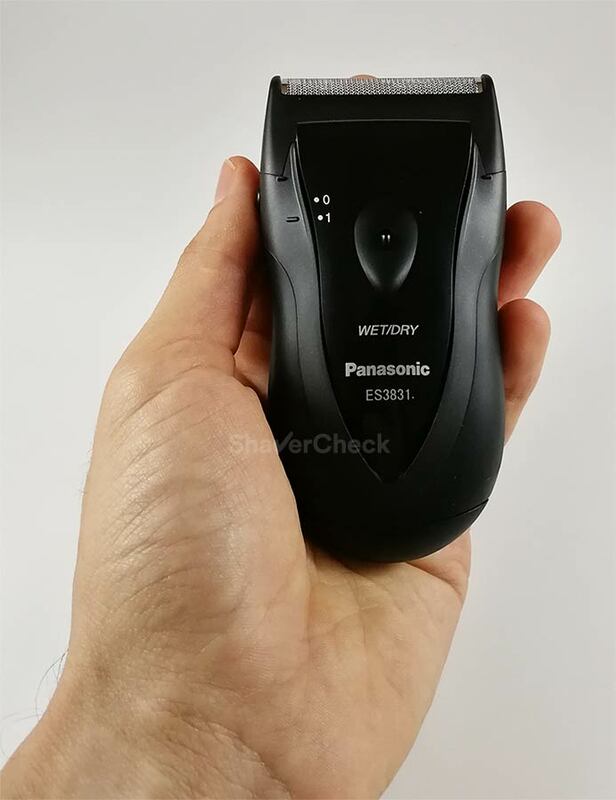 If the answer is yes, then the Panasonic ES3831K is one of the better travel shavers out there. 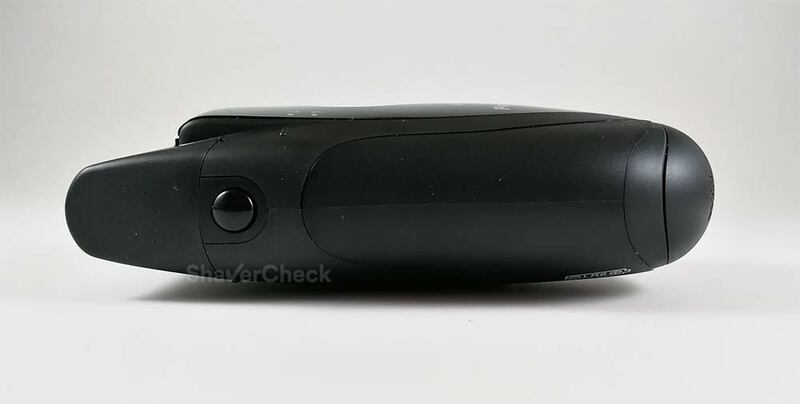 If you need a cheap, compact electric razor that performs reasonably well (compared to other products in this class) and one that you can simply throw in your gym bag, glove box or keep it in a drawer at your office, then you should definitely shortlist the ES3831K. If performance and particularly closeness are important to you, then you should probably look for something else. I would rather sacrifice a bit of extra space in my luggage and bring along a proper shaver. 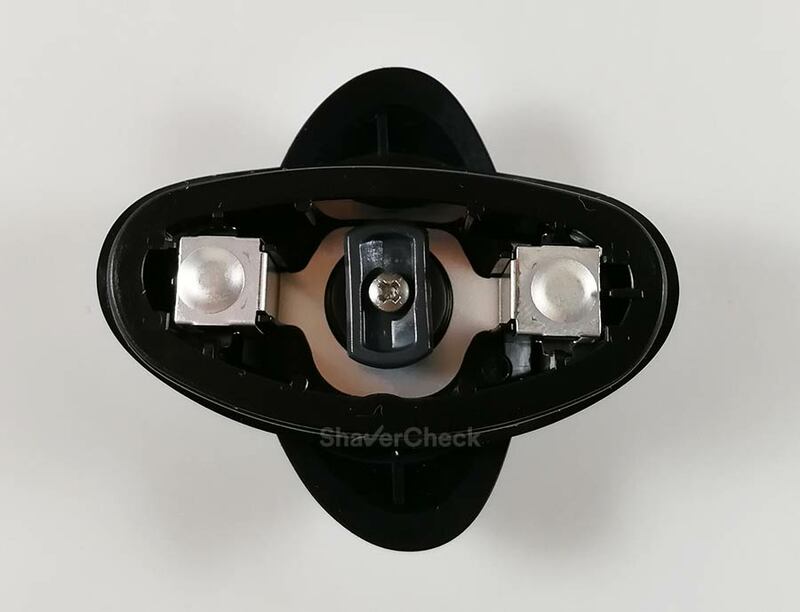 The closeness, poor performance when shaving longer hairs, the lack of a hair trimmer and the sub-optimal comfort are the things that ruin the experience with pretty much all travel shavers I’ve tried. 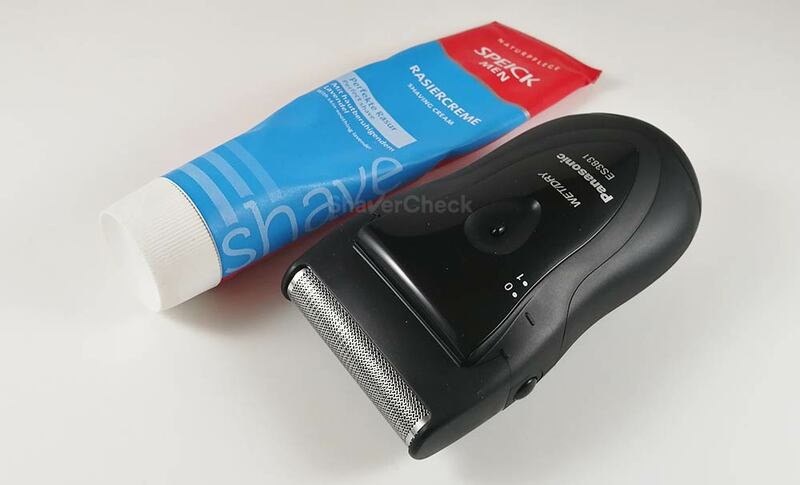 If most of these shortcomings are not a big issue or you just want a portable shaver to do some quick touch ups, I would actually recommend you to consider the ES3831K. It should come as no surprise that the first alternative to the ES3831K is a shaver that I’ve been constantly referring throughout this review, the Braun M90. While it is similar to the Panasonic in many regards (price, dimensions), after using both of them my conclusion is that the Braun M90 is overall a better shaver. 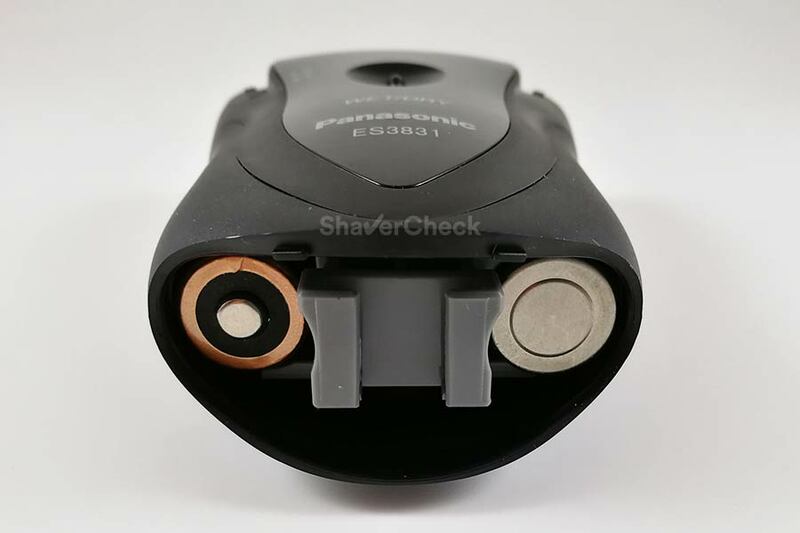 The closeness of the shave is better; the M90 is still a basic portable shaver that can’t match the performance of an advanced shaver, but it shaves closer than the ES3831K. The M90 is more comfortable to use. I still felt some discomfort after completing the shave, but it was less pronounced compared to the Panasonic. The overall build quality is better. The M90 is really impressive when it comes to build quality, especially at this price point. The ES3831K is pretty good as well, but the M90 feels sturdier, more refined and offers a more secure grip. Smarter design: the brilliant rotating cap that acts as a travel lock, the integrated cleaning brush and the battery cover that remains attached to the body when opened are small touches that put the M90 ahead. Integrated hair trimmer. While it’s probably the smallest you’ll find on any shaver, it’s still better than nothing. 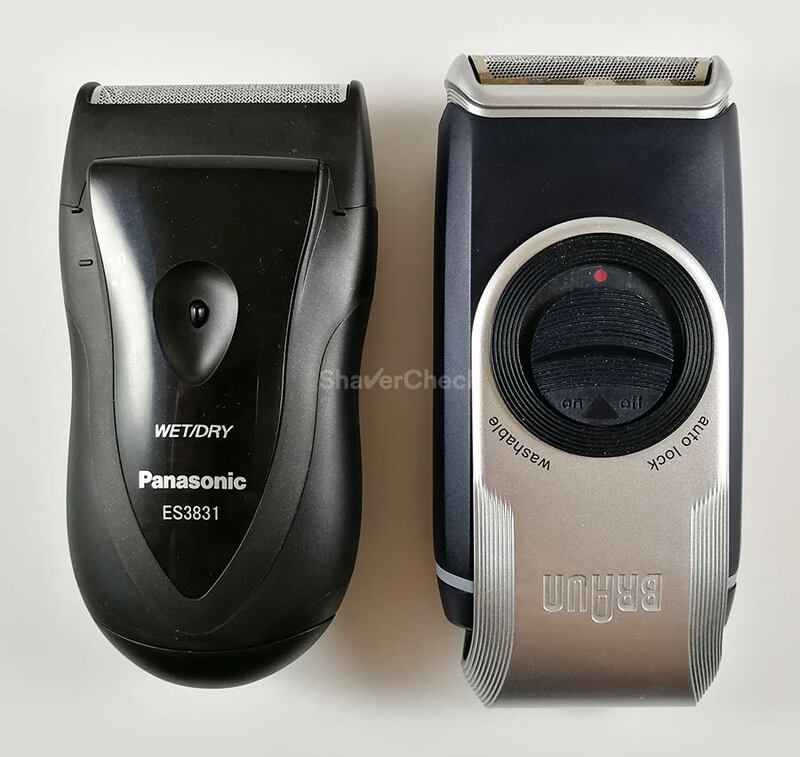 Both the Braun M90 and Panasonic ES3831K are equally bad when it comes to shaving flat lying hairs, but when used daily the M90 has the edge. However, the M90 is pricey compared to the ES3831K, costing almost double the money. The M-60 is identical to the M90 above, with a couple of differences: it comes in a semi-transparent blue color and lacks the hair trimmer. If you don’t think you’ll be using the trimmer you can go for the M-60 instead for approximately half the price of the M90. 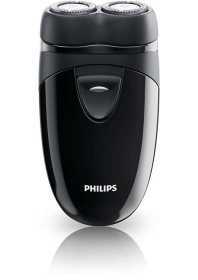 Finally, if you prefer rotary shavers, there’s another popular option from Philips Norelco, the PQ208/40. Price-wise it is on par with the ES3831K that we tested and also runs on a couple of AA batteries. I would however stick to one of the foil shavers above as they’re a lot easier to clean and the Norelco is not (officially) washable.